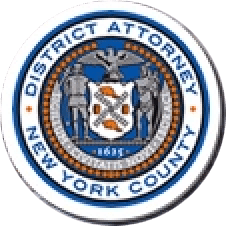 Manhattan District Attorney Cyrus R. Vance, Jr., today announced the indictment of PAMELA BUCHBINDER, 48, for the attempted murder of her estranged boyfriend in November 2012. BUCHBINDER is charged in a New York State Supreme Court indictment with Attempted Murder in the Second Degree, Attempted Assault in the First Degree, and two counts of Burglary in the First Degree. According to court documents and statements made on the record in court, on November 11, 2012, BUCHBINDER accompanied her 19-year-old cousin, Jacob Nolan, to a Home Depot in Chelsea, where they purchased a 10-pound sledgehammer, zip ties, latex gloves, and industrial-strength cleaner, among other items. The next day, using a map drawn by BUCHBINDER, Nolan entered the West 57th Street apartment building where the victim, a psychiatrist, maintained a home office. Once inside, Nolan struck the victim with the sledgehammer and stabbed him multiple times. NYPD officers responded to a call from the building’s manager and placed Nolan under arrest. In March 2016, Nolan was convicted by a New York State Supreme Court jury of Attempted Murder in the Second Degree, Attempted Assault in the First Degree, Assault in the First Degree, and two counts of Burglary in the First Degree. He was later sentenced to 9 ½ years in state prison. Assistant District Attorneys Joel J. Seidemann, Senior Trial Counsel, and Gregory SanGermano are handling the prosecution of this case under the supervision of Executive Assistant District Attorney John Irwin, Chief of the Trial Division. Assistant District Attorney Linda Ford, Senior Trial Counsel, handled the NOLAN prosecution. District Attorney Vance thanked NYPD Detective Kevin Buehler of the Midtown North Detective Squad for his assistance with investigation. The charges contained in the indictment are merely allegations, and the defendant is presumed innocent unless and until proven guilty. All factual recitations are derived from documents filed in court or statements made on the record in court.